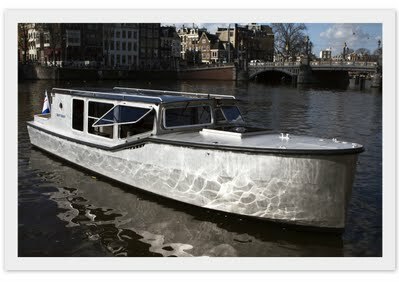 Enjoy Amsterdam at its best, from the water in our silent and solar powered luxury boat "Drift Away"
Drift Away is available 7 days a week, 24 hours a day at any location within Amsterdam. We accommodate up to 8 persons, with optional catering, at a price of €200 per hour. The Drift Away was built and designed to realise what we call “sailing without sails”. 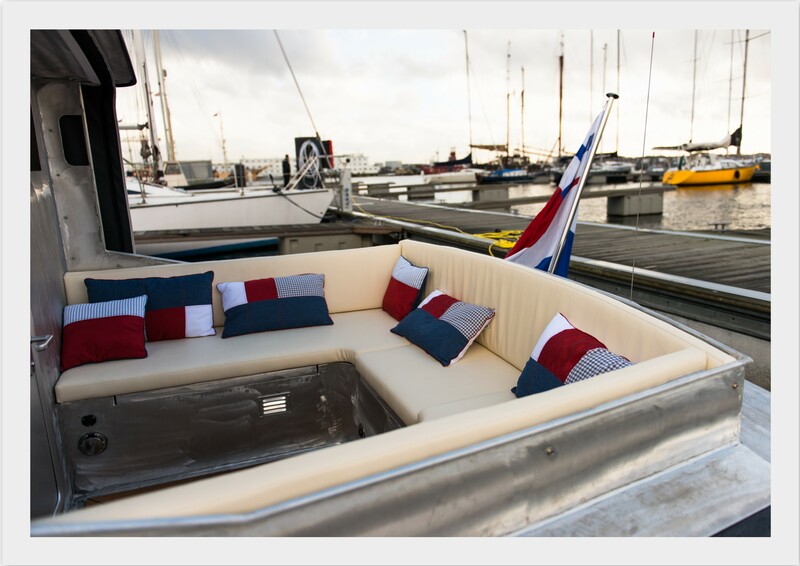 We are happy to say that this ambition is now a magnificent feature of our boat. The design of the boat in combination with top of the line electric propulsion technology gives you the feeling that the ship is moving on a small puff of air. Enjoy the ecstatic feeling of moving on the power of the sun without the noise and fumes of a diesel engine. Explore the canals in total silence and with respect for the environment and redefine the term smooth sailing! In summer or winter, indoor or outdoor. 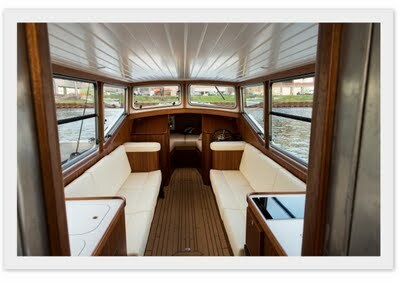 The Drift Away was custom build for the canals of Amsterdam. This resulted in some practical advantages compared to other salon boats. A small kitchen enables local chefs to provide exclusive dinners on board. Other practical facilities like a comfortable toilet, a flat screen for presentations, 4G internet and a playing corner for the little ones make the boat suitable for every occasion. The realisation of the Drift Away marks the beginning of a new age of solar powered ships and has received worldwide media attention. For information about the boat you can check out www.arviro.com.